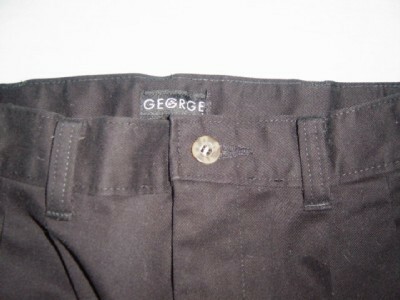 GEORGE BOYS 10 BLACK DRESS PANTS KIDS YOUTH GEORGE BOYS SIZE 10 BLACK DRESS PANT VERY GOOD CONDITION ALL MEASUREMENTS ARE TAKEN OF ITEM UNSTRETCHED: Waist - 25" Waist to bottom - 28" 100% Cotton Machine Wash, Tumble Dry * * * * * * * Please check our feedback and bid with confidence. From the crew at :. * treasure-trove-unlimited *. : * * * * * * * treasure-trove-unlimited will process and ship orders within 72 hours (3 business days) of receiving payment via Priority Mail, 1st Class Mail or Parcel Post. The majority of our items are sold with calculated shipping based on your zip code, so that shipping charges for you are reasonable and kept non-inflated. We ship throughout the USA and CANADA to PayPal Confirmed addresses ONLY. * * * * * * * * *** NOTE TO CANADA CUSTOMERS: Kindly contact us for accurate postage/Shipping Handling fees immediately after winning bid and BEFORE submitting payment. Thank you! ALL of our items are in excellent condition. 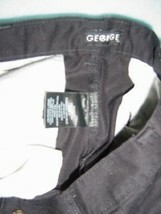 We carefully inspect each and every one, as our goal is to offer you top quality products at discount prices. 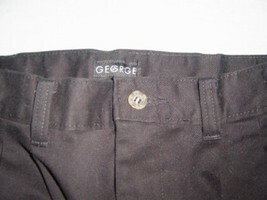 All clothing is personally measured by us. Everything we sell comes from a smoke-free environment. Please check our feedback and bid with confidence!!! RETURNS: If you need to return the unused item, please contact us first through email for instructions. All merchandise returned will be thoroughly reviewed and inspected BEFORE refunds are processed LESS all buyer's postage/Shipping Handling costs. THE BUYER IS RESPONSIBLE FOR ALL SHIPPING AND HANDLING CHARGES ON PURCHASES AND RETURNS. Upon receipt and inspection of the item, we will process refunds and credit your account through PayPal within 3 business days. Our goal is to offer you 5-Star Service!!! We work hard to find the best deals, so that you don't have to!!! We want it to always be a pleasure to shop with us... =o) Sincerely, from the crew at :. * treasure-trove-unlimited *. : We are always happy to hear from you. We are dedicated to our customers and feel that you should receive the personal attention you deserve. We will typically reply to an email in the evenings within 1 business day of receiving it. 5-Star Ratings and Positive Feedback are ALWAYS welcome!!! ;o) If you do not feel that we deserve 5-Stars, please contact us before leaving negative feedback or requesting a return. 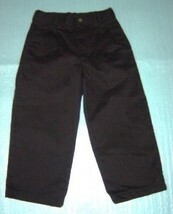 Use the Contact the Seller link. When we maintain the highest ratings possible, we receive seller discounts; this helps us to keep the price of our items low FOR YOU!! !